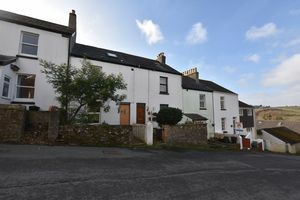 Guide Price £165,000 - £170,000. Characterful 2 bedroom country cottage with large south facing rear garden, close to lovely river walks and nature reserve. 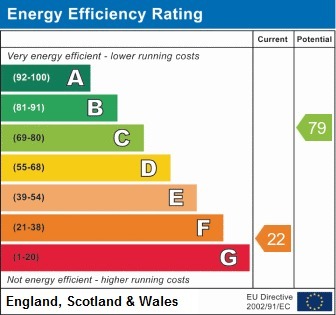 OFFERED WITH NO ONWARD CHAIN!!!!! Entered through a wooden door, coir mat flooring, Light, Room for coats and shoes, door to lounge. 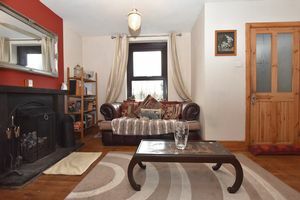 Double glazed window to front elevation,original wooden floor, open feature fireplace, telephone point, light and double doors to dining area. 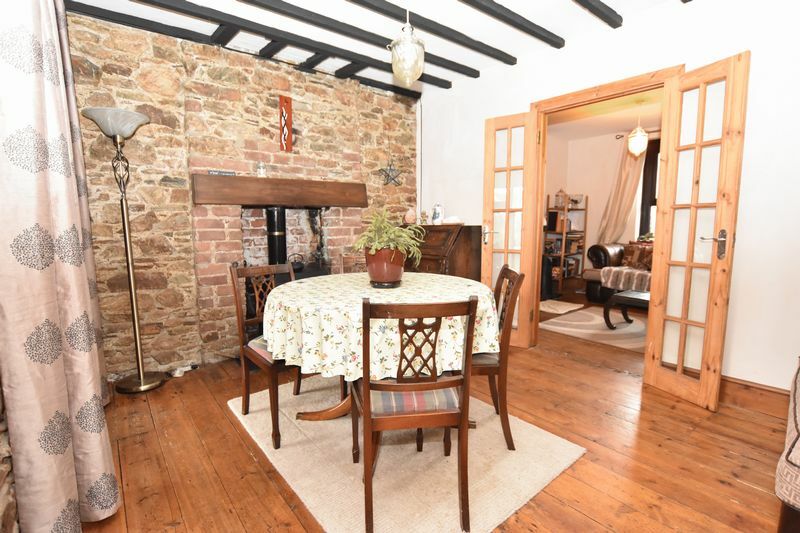 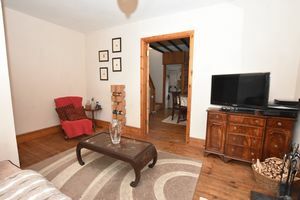 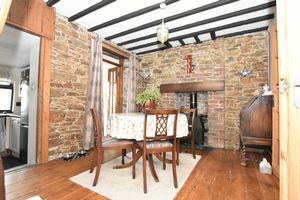 Original wood flooring, wood burner, exposed beams on the ceiling, exposed brick walls, light, stairs to first floor, access to kitchen & storage room. 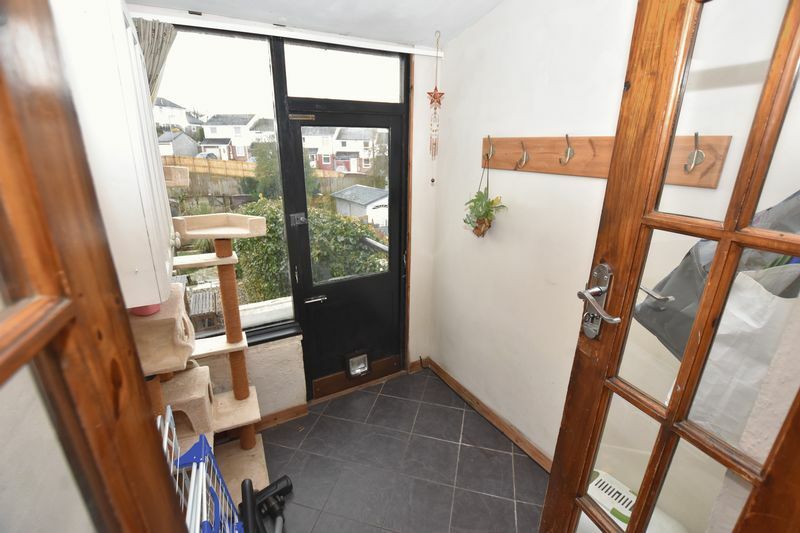 Door to garden, Single glazed window to rear, Cupboard space, electric points, light and tiled flooring. 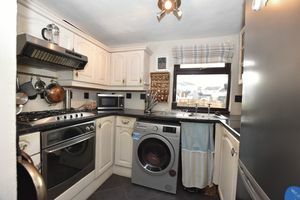 Double glazed window to the rear elevation, roll top work surfaces, a range of wall and base units, fitted electric cooker and hob, Room for fridge freezer, plumbing for washing machine. 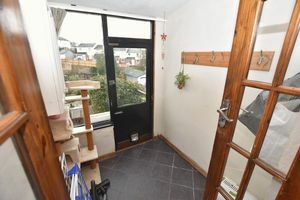 Landing with doors to bedrooms and bathroom. 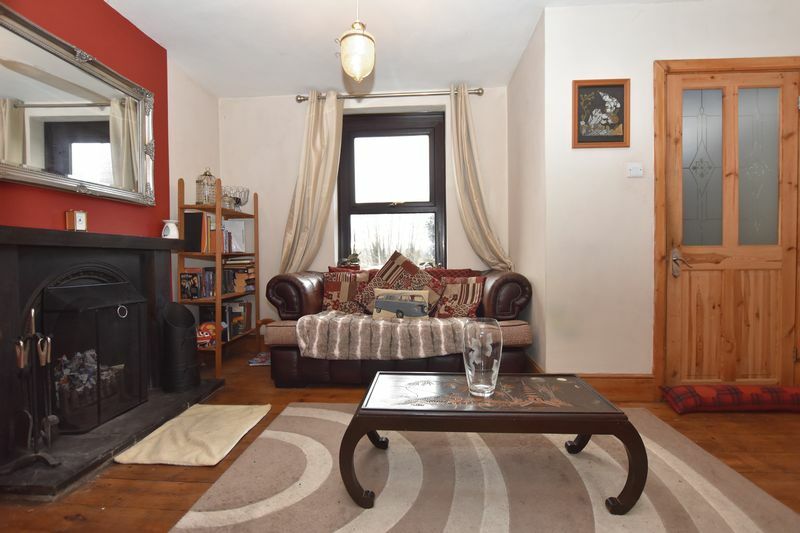 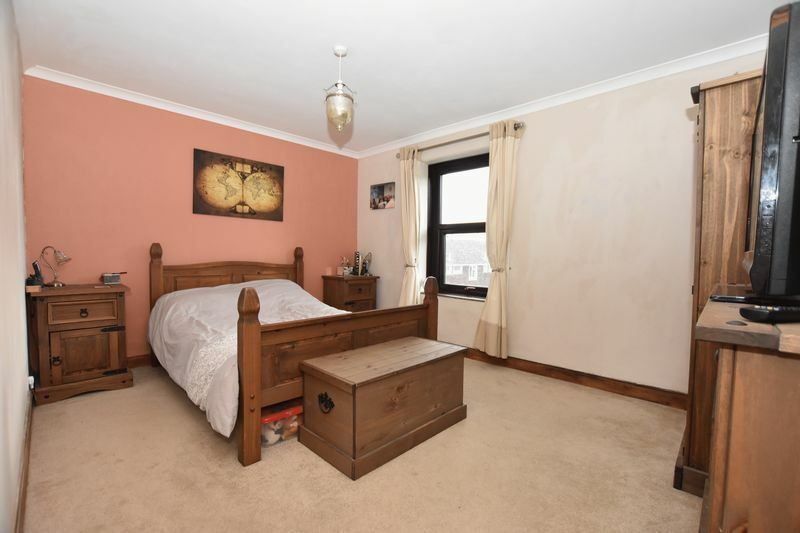 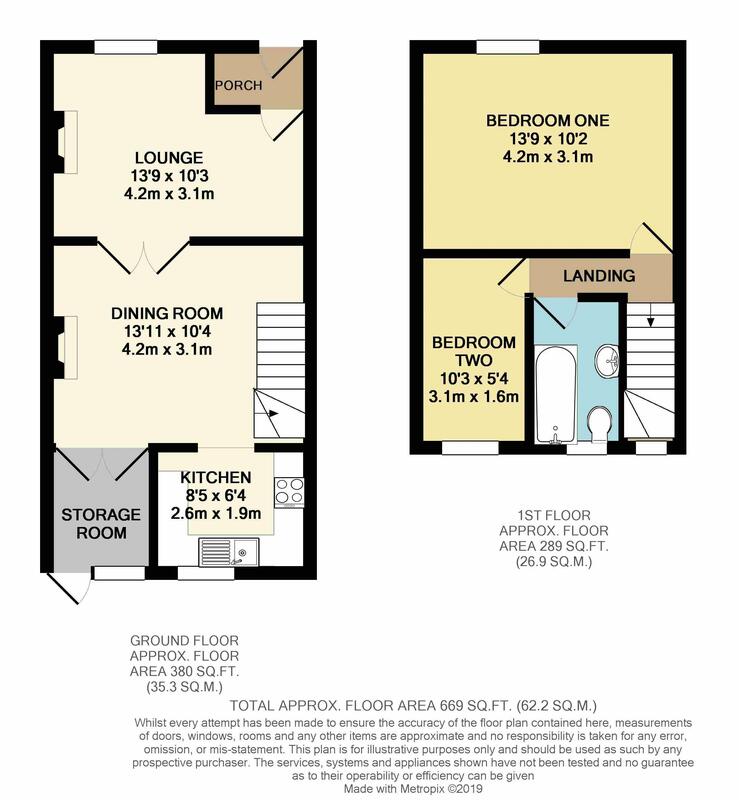 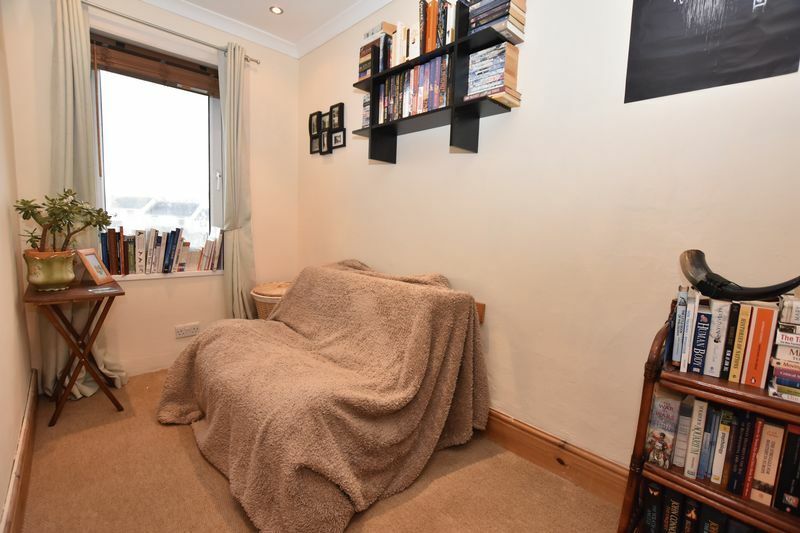 Very good sized double room, double glazed window to front elevation, carpeted and light. 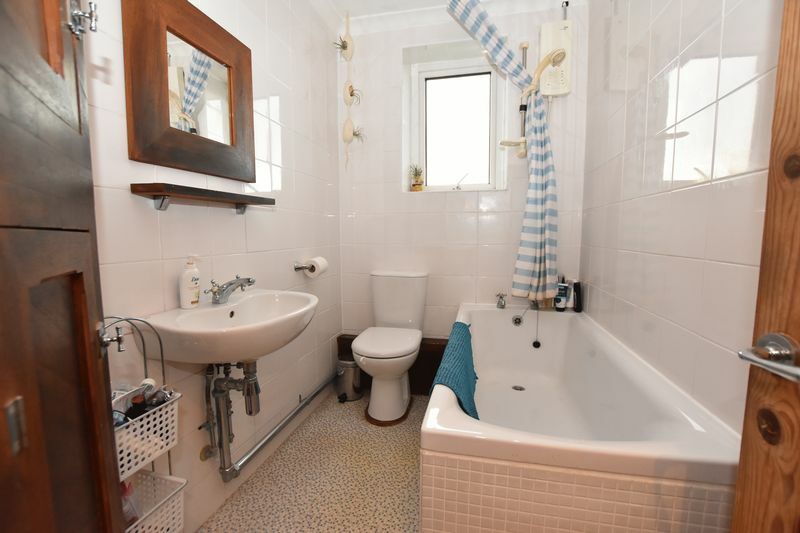 Frosted double glazed window to the rear, Bath with electric shower over, cupboard that houses the hot water talk, sink, wc & lino flooring. 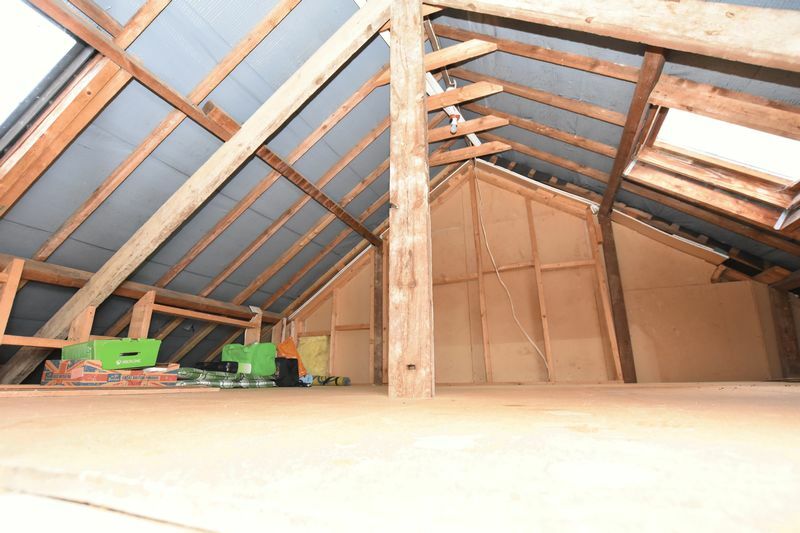 Double glazed window to the rear, spotlights, aceess to the loft through a large loft hatch. Large space, 2 skylights, fully insulated and currently boarded. 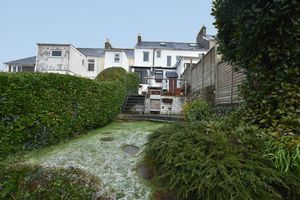 To the front of the property is a low maintenance small garden. 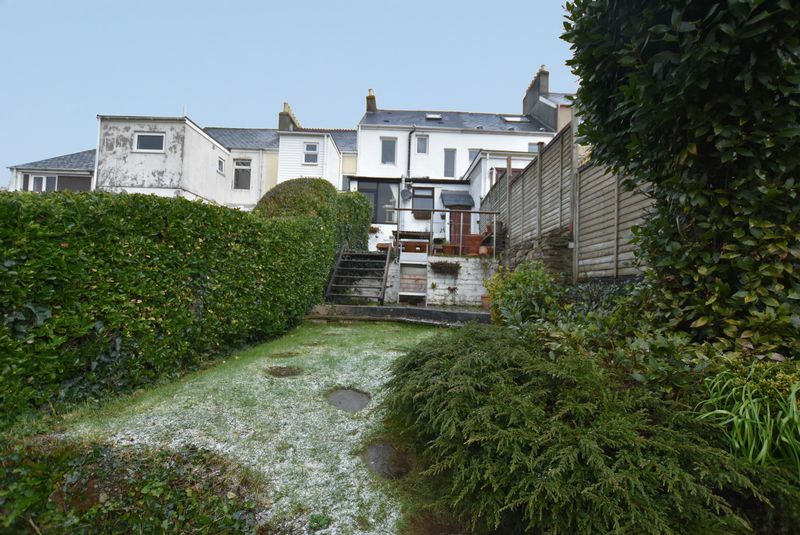 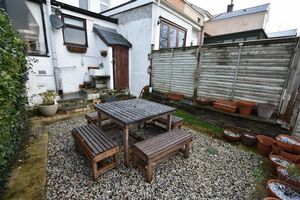 To the rear is a large south facing garden which is split into different sections, mostly laid to lawn with shrubs trees and bbq area, there is also a gate which gives access to the service lane.